One of the biggest humanitarian crises of 2018 was the ongoing conflict in Yemen. 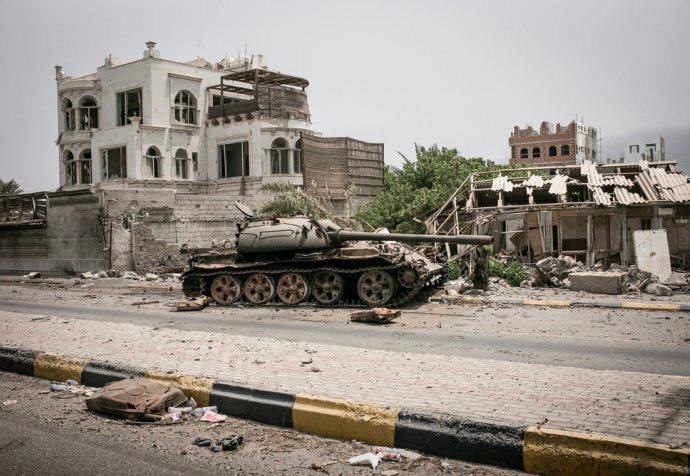 The conflict, which began in 2015, further escalated in 2018, with fast-changing frontlines and devastating medical humanitarian impacts for the Yemeni people. More than three million people have been displaced since the war began, and more than 20 million are currently in need of humanitarian assistance. Throughout 2018, MSF continued to put the spotlight on the crisis in Yemen to ensure that the millions of people who bear the brunt of this brutal conflict are not forgotten. At the start of the year, Yemen was facing serious outbreaks of diphtheria and cholera, although the number of new cholera cases was declining. As a result of the war, people face serious challenges accessing clean water, disposing of waste and obtaining medical care – all of which exacerbate the outbreaks. By January, MSF had treated more than 100,000 people for cholera and opened 37 cholera treatment centres and oral rehydration points. Diphtheria has infected more than 300 people, despite being vaccine preventable. Project Coordinator Arunn Jegan, from Sydney, reports from Taiz, Yemen, where MSF supports multiple hospitals on both sides of the frontline. As the fighting worsened in Taiz, MSF’s emergency rooms and operating theatres were overflowing with patients and the city was rocked by explosions every minute. MSF Australia nurse David McGuinness spent six months working in Ad Dhale hospital, Yemen. The hospital cared for an influx of cholera patients, setting up four cholera treatment centres in addition to regular activities. While cholera is treated with rehydration, many patients died before they were able to reach a treatment centre. “Some were too old or young to cope with the stress it put on their body, and unfortunately some couldn’t get to the treatment centres because travel was costly and dangerous,” said David. MSF Medical Advisor and paediatrician Dr Nikola Morton reported on the situation facing children and babies in northern Yemen. “Too many babies are dying within their first weeks of life because they are unable to access the healthcare they need,” she said. Many Ministry of Health staff have not been paid for more than two years and have been forced to find other work. At the same time, many healthcare facilities are no longer operational because they have been bombed, or no longer have medical supplies. As a result more women are delivering their babies at home, and face barriers to seeking care if problems do arise. A military offensive was launched against the port city of Hodeidah, which had been a strategic port for essential supplies for people living in northern Yemen. MSF teams in Aden began receiving patients travelling six hours from Hodeidah, in urgent need of medical care. MSF opened a 20-bed surgical field hospital in Mocha, 180 kilometres south of Hodeidah, to respond to increased medical needs as a result of the offensive on Hodeidah. The 70-bed facility provides emergency medical care to people coming from the Hodeidah and Taiz frontlines, so that they are not forced to make the long journey to Aden for healthcare. Among the patients are war-wounded and pregnant women with complicated deliveries that require urgent surgery. An attempt to hold peace talks in Geneva to resolve the conflict failed. While other international organisations reported on the risk of famine in Yemen, MSF released a statement clarifying that we had not seen evidence of famine in our projects treating malnutrition, despite some areas facing increasing rates of severe acute malnutrition. The statement also explained that there is no quality data available to declare that a famine is imminent, particularly because the country is largely inaccessible to journalists and aid organisations. What MSF has seen is a general deterioration in people’s living conditions, with very limited access to healthcare. Australian Sally Thomas reported on her four-month assignment as Project Coordinator in Hajjah, northern Yemen, a small city where some Yemenis have relocated during the war. MSF supports the emergency department, an intensive care unit, inpatient departments and maternity services in a large hospital in the city. Sally was in Hajjah earlier in the year when airstrikes hit a wedding party near the city. The MSF-supported hospital treated 63 people wounded in the attack, many still wearing their wedding outfits. 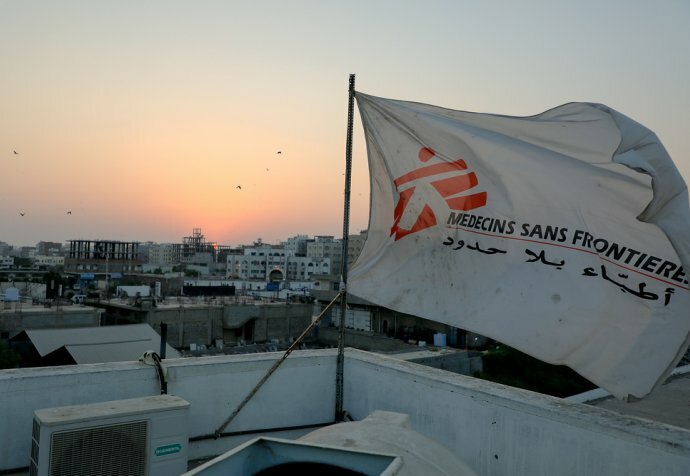 Also in November, MSF announced the closure of projects in the Ad Dhale governorate, due to repeated attacks and threats of violence on the medical facility, health staff and MSF’s residence. Since the conflict began in March 2015, civilians, medical staff and health facilities have been repeatedly attacked by all warring parties in Yemen. MSF continues to call for the protection of civilians and medical facilities and staff.